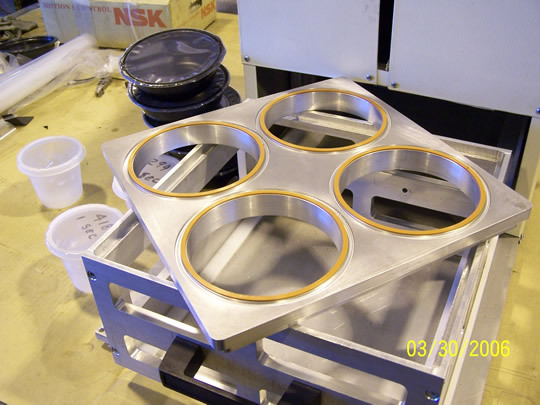 custom designed and fabricated pallet destacker, a 90 degree direction shift corner unit, and a pallet loader system. It is specifically for a ‘double end tenenor for flooring. that we can design, fabricate, and install. 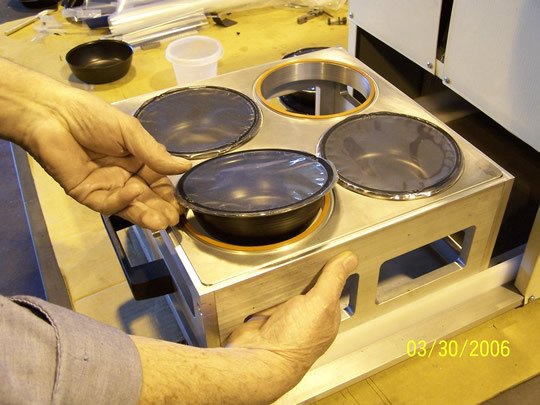 Here we have a few pictures of the Bench Top Heat Seal Machine that we make at Toolcraft, Co, Inc. 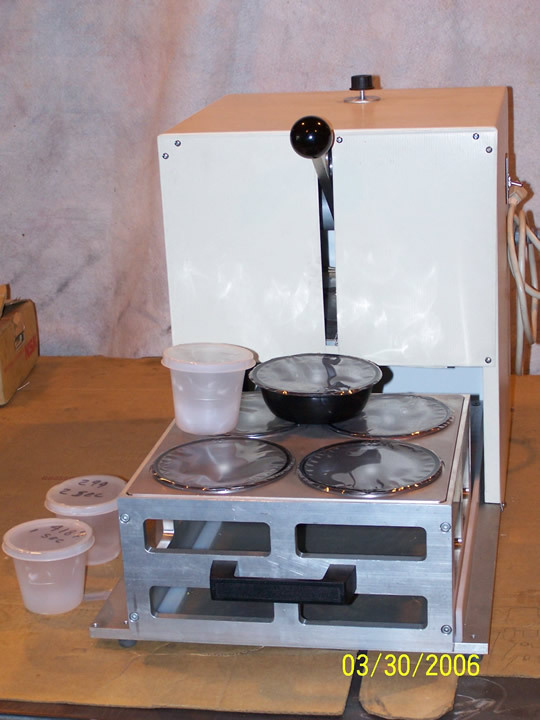 It is a manually operated Heat Seal designed for lab testing or for small quantity runs. 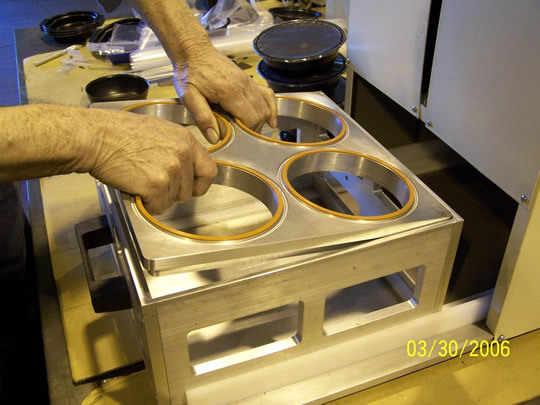 The tray carriers are custom made for each container to enable a quick interchange from one tray carrier to another. 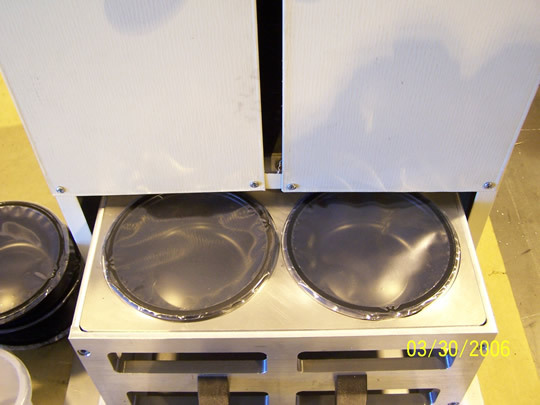 The temperature is controlled by a manually operated thermostat conveniently located on top of the cover. The ON/OFF switch and 115VAC power cord are on the side. 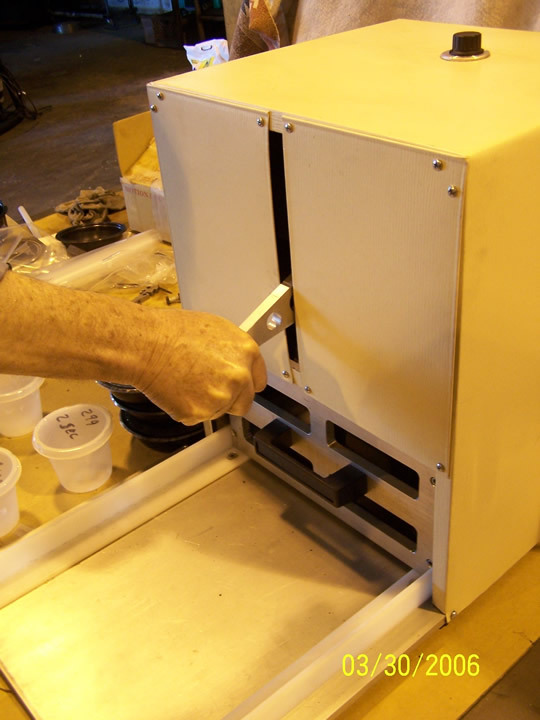 Here we have the Tray Carrier shown removed from the Sliding Base. 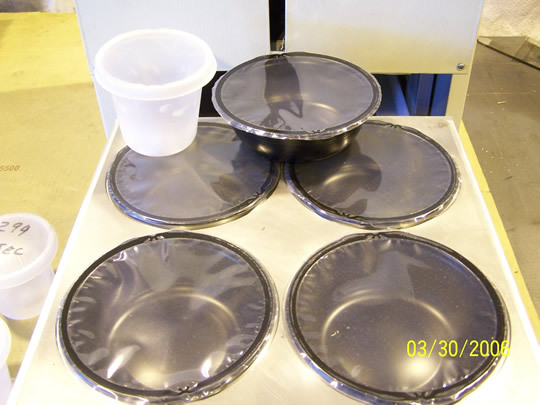 Each Tray Carrier is custom fit to the customer's trays to ensure a perfect seal every time.